We could do with a renaissance. Sugar is toxic, and Americans consume about 80 pounds of it per capita per year. No wonder we don’t look or feel too well. The idea of sugar as a toxin was presented in recent commentary, “It’s the Sugar, Folks,” by Mark Bittman in The New York Times. He was summarizing the conclusion of a study published on February 27 in a journal called PLoS One. After analyzing data from 175 countries, the researchers concluded that sugar is the cause of diabetes, not obesity. This is vital information because about 24 million Americans now have type 2 diabetes, and an estimated 79 million are pre-diabetic. Medical costs for this population are about $200 billion a year according to the American Diabetes Association. The need to cut back on sugar consumption now appears urgent. And maybe that would also be good for our national soul. 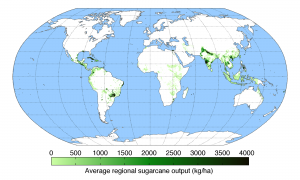 Sugar cane, the source of most of our sugar, is a crop freighted with a heavy karmic load. Originally produced by slaves, sugar is addictive and thus enslaves us. Henry Hobhouse, author of Seeds of Change, describes sugar as “morally damaging to consumers.” His book is about plants that have transformed mankind, and he has a chapter on sugar. He estimates that 15 million African slaves were dedicated to sugar production in the early years in the Caribbean. The labor was so brutal that white men wouldn’t do it and “black men wouldn’t either without the lash.” Valued at one ton of sugar each, slaves had a brief and miserable life. 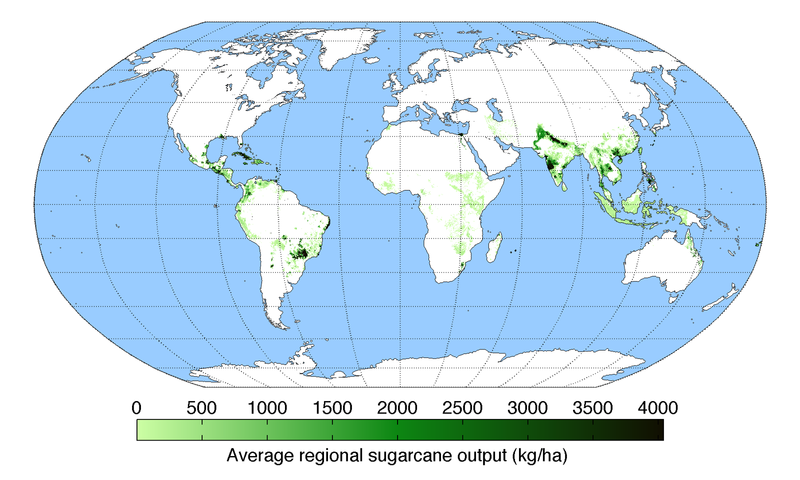 Cuba was a great source of sugar for America up until about 1960, but now we grow our own. Acreage in Florida, Louisiana, Hawaii, and Texas produces about 3.6 million tons a year. We also get sugar from sugar beets grown in regions inland. Seeds of Change first came out in 1985, and diabetes had not yet been identified as an impending epidemic. Hobhouse does not mention it when he describes how sugar addiction harms the body. He explains that our digestive systems naturally convert fiber and starch into sugar, which gives us energy. When we consume large quantities of sugar, our bodies lose the ability to digest starch and fiber. The more industrial sugar we consume, the more reliant we become on the quick energy fix, and nutrition deteriorates. Interestingly enough, Hobhouse writes that difficulty digesting fiber is at the root of our preference for fine white bread. As well as diabetes, the growing intolerance for gluten may be the result of excessive sugar consumption. Reform is going to be very difficult, however. The sugar issue is of special interest to me because I have always had a huge sweet tooth. I think this may have been acquired very young. I never have liked milk, and I think mothers may have been advised years ago that children like me would find the bottle more appetizing if Karo was added. I have rolled through a “clean-up” diet several times that involved eliminating all sugar. If you buy any processed foods at all, this is extremely difficult. Sugar is now in almost everything, from a can of beans or tomatoes to some breads. Because sugar addiction produces more sales, the processed food industry keeps adding it to new products in greater volumes. Writing in the New York Times Magazine recently, Michael Moss explains how these industries employ scientists to define “the bliss point” in sugar, salt, fat content, and mouth feel that will trigger maximum craving. When pressed on the orientation toward pushing foods that create health concerns, one CEO countered that they are just producing what people want. If they quit, then customers will stop buying, which will cause them to lose market share. The processed food industry has found a formula that makes a lot of money, and they’re not going to budge until demand changes. So that responsibility falls with us. If Coca Cola failed, followed by all the other soda pop manufacturers, it would be a great blessing to public health. However, that will never happen unless, one by one, we cease to drink this distilled source of sugar. And if we don’t, slavery karma is going to continue to make us very, very sick. On the bright side, Hobhouse points out that “The glories of the Renaissance were created on the basis of a teaspoon per head of sugar each year.” We could do with a renaissance. Maybe we should give this some thought. Informative and thought provoking article….coincidentally I just read an article from John Hopkins on cancer info. One part said that sugar is a cancer feeder and by cutting off sugar, it cuts off one important food splly to the cancer cells. Now I have not done further research but have family evidence that cutting sugar (along with other dietary & life style changes) can build your immune system and help fight cancer cells. One other where we are in agreement is that you note the responsibility (to limit/cut sugar intake) falls on us. amen to that! Personal responsibility and accountability have been so dominant in our history and in most of ur lives. The younger folks need a re-introduction to these values/beliefs.